Researchers from the University of Houston College of Pharmacy are studying the role of antioxidant pathways and oxidative stress in hypertension. The project was funded thanks to a $1.3 million grant awarded by the National Institutes of Health. 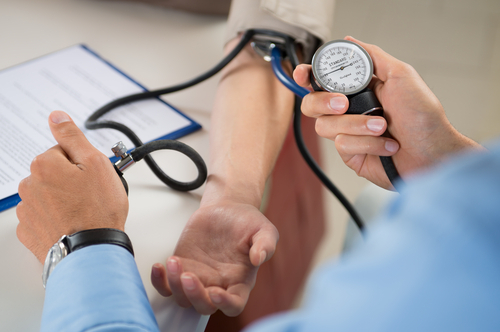 High blood pressure is a condition that affects more than 70 million people in the United States and significantly increases the risks for cardiovascular diseases, heart and renal failure, and stroke. Mustafa F. Lokhandwala, a UH pharmacology professor, and Anees A. Banday, an associated researcher at the university, are assessing kidney hormonal receptors that play major roles in causing sodium excretion in the urine — a process known as natriuresis. Natriuresis maintains the amount of sodium in blood plasma and regulates blood pressure. Kidneys regulate blood volume, the sodium balance, the pH value and blood pressure — through the activation of the dopamine receptors, the sodium balance is controlled and normal blood pressure is maintained. Oxidative stress, however, is a risk factor for hypertension and it can be a destabilizing factor for kidney dopamine receptor activities. In the case of oxidative stress, dopamine loses its ability to promote sodium excretion since the receptor is damaged. As a result, sodium is retained, causing hypertension. [adrotate group=”15″]To protect this equilibrium system from oxidative damage, investigators are working on a way to activate intrinsic cellular antioxidant pathways that can preserve and maintain the sodium balance and, as a consequence, normal blood pressure. Specifically, scientists are focusing on the redox-sensitive transcription factor Nrf2 — a protein that can regulate the anti oxidative pathways. The advantage is that Nrf2 can be activated by resveratrol or sulforaphane, antioxidants that exist in fruits and vegetables. If activated, this protein stimulates a plethora of downstream antioxidant proteins, and the research team found that through modifications in specific genes, Nrf2 can protect the kidney dopamine system from oxidative stress and maintain blood pressure within healthy ranges.